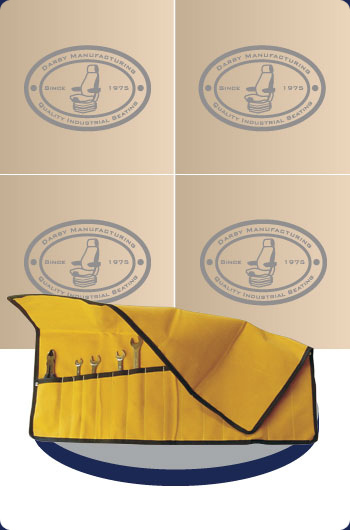 The 100-23 wrench pouch is made entirely of water resistant canvas and can accommodate up to 15 items (screwdriver, wrench, utility knife, ruler, pliers, etc.) of different sizes. Folds-up or rolls-up conveniently to keep every tool in its place with slots ranging from 25 mm to 76 mm. For further information, please contact Darby Manufacturing Ltd.